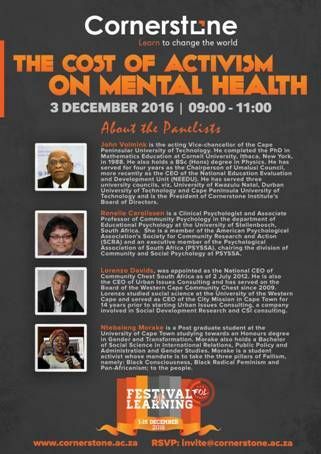 Cornerstone Institute is hosting a Critical Dialogue Series from 1-3 December 2016 at its campus on Salt River Main Road in Cape Town. 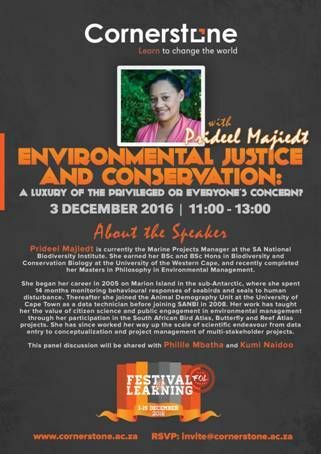 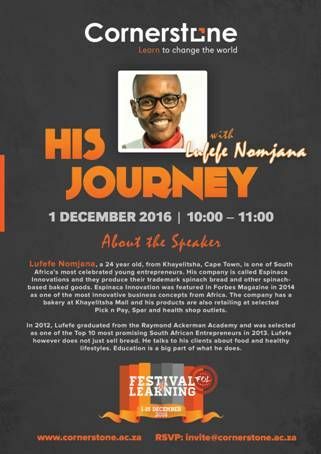 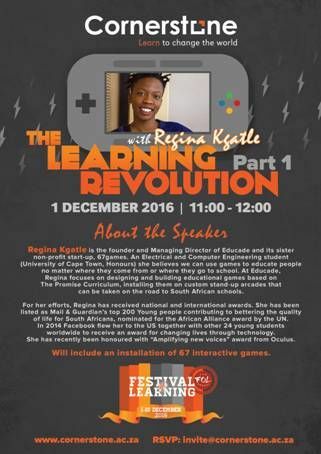 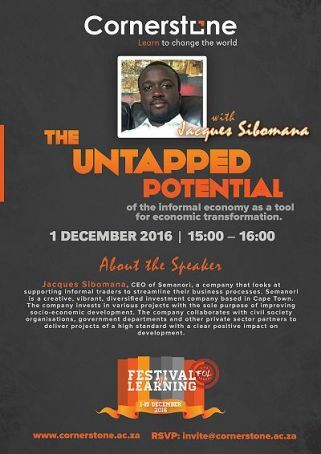 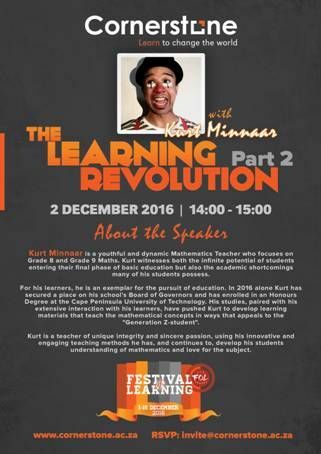 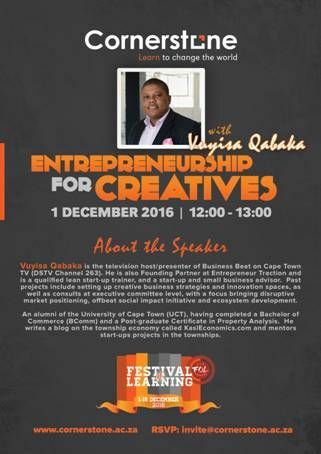 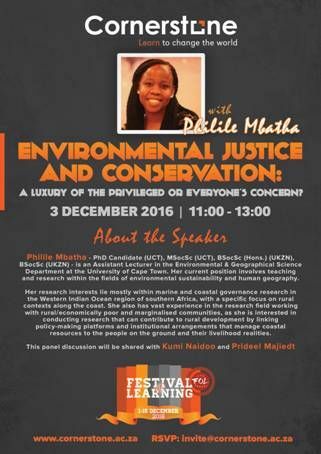 The Critical Dialogues form part of Cornerstone’s 2nd annual Festival of Learning which runs from 1-15 December 2016 at Cornerstone campus. 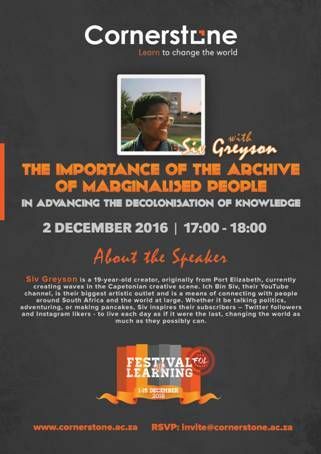 It comprises a range of talks, panel discussions, interactive workshops, exhibitions and screenings designed to stimulate discussion. 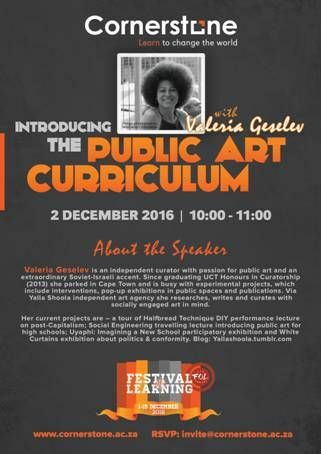 The Critical Dialogue Series provides a space for dialogue to re-imagine education towards a decolonised curriculum. 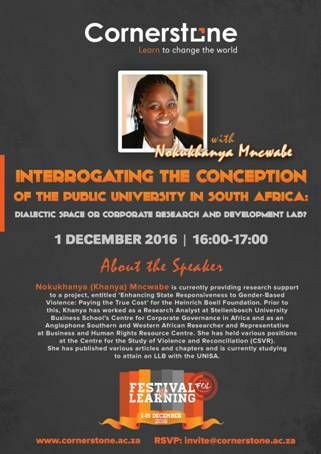 The central theme is the interplay between the arts, science and technology in the context of a liberation struggle and how these 3 areas intersect and the role(s) it played /continues to play in advancing a social justice agenda. 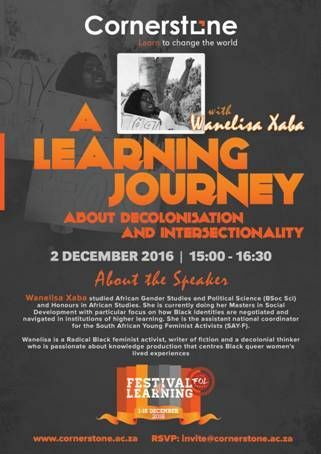 The talks will explore these themes so as to help us to think about a liberated university sector, a decolonised education, a free society and the shifting cultural practices in pursuit of these freedoms. 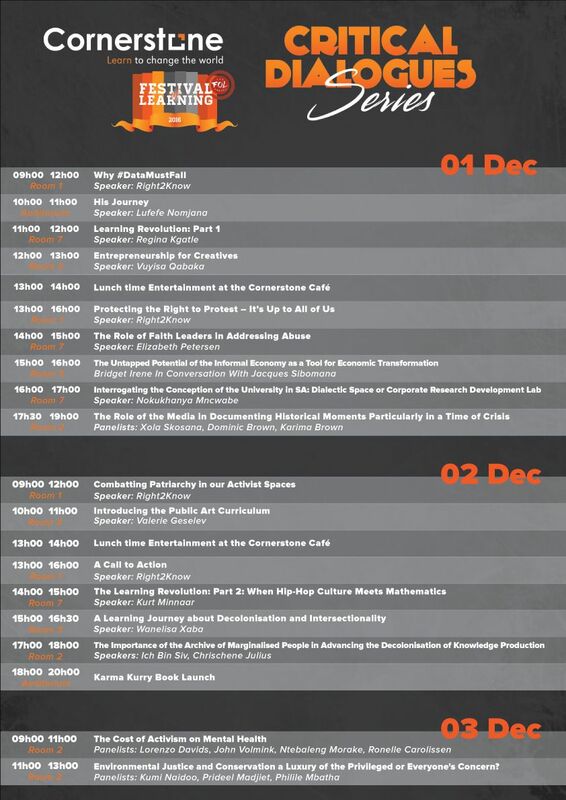 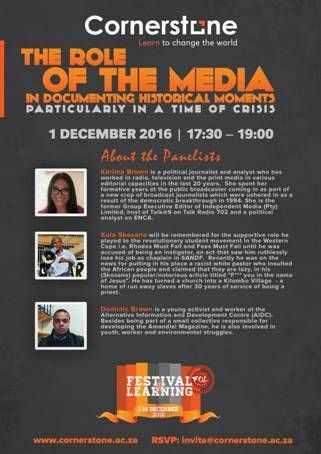 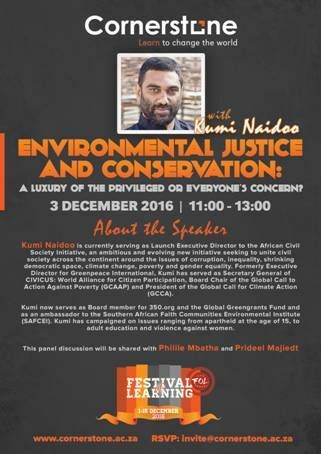 The Critical Dialogue programme will run from 10:00- 19:00 on 1 and 2 December, and from 10:00-12:00 on 3 December.